Cost: It is free to walk, but you will need to make/or buy a costume and purchase beads to pass out. 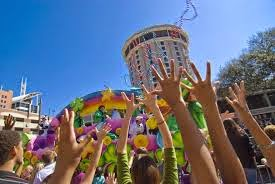 Event Description: The parade will be on February 14th at 3:30p.m. in Huntsville. We will have several meetings before then to prepare. These meetings will be in Madison. All meetings and details will be posted on the krewe facebook page.